Mo was born and raised in Tunisia where he learned to play the game of soccer. He played professionally in Tunisia for 12 years for Monastir and Enfidha Sport. He also played for Sahel regional team and the Tunisian U21 National Team. Mo has been on the Arlington coaching staff for 12 years. He has coached boys and girls ranging from U8 to U23. He is the Arlington Youth Director, the Super Y Program Director and is a senior instructor for camps & clinics. 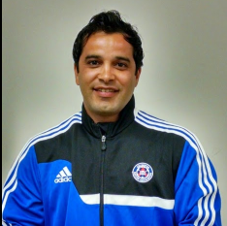 Mo holds a USSF National Youth License and a United Soccer Coaches Advanced Diploma. He has won several VYSA state cup championships, Region 1 Championships, and a USL National Championship. Mo is a VYSA ODP Coach and was honored as the 2011 Arlington soccer coach of the year.